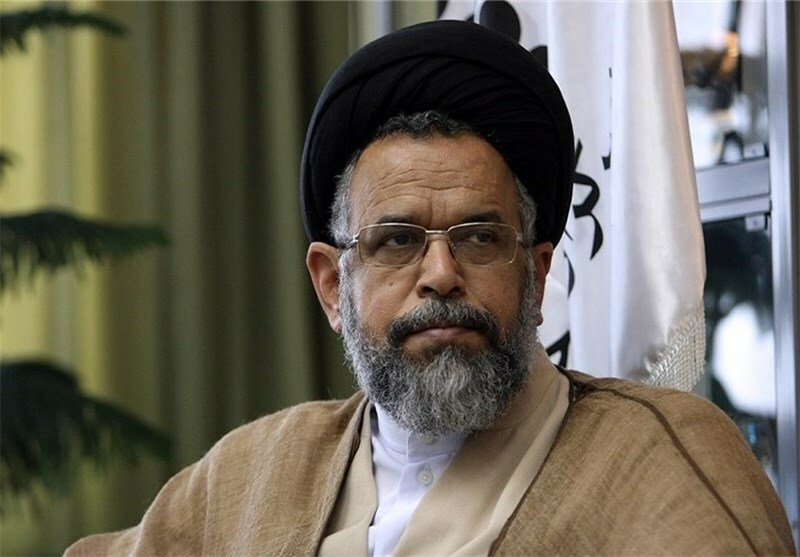 Iran’s Intelligence Minister offered more details about the recent arrest of a number of Takfiri elements in the country, saying 8 members of Takfiri groups, all of them foreigners, were detained in an Intelligence Ministry operation. Speaking to reporters on Saturday, Mahmoud Alawi said the ministry forces managed to identify and foil a plot by Takfiri groups to disrupt celebrations marking the anniversary of the Islamic Revolution. During the operation, carried out on February 3-9, a secret network of terrorists was identified and 8 of its key members were arrested near Tehran and in some western and eastern provinces of the country, he said. All of those arrested were non-Iranian nationals and some of them had links with a ringleader of a Takfiri group who has recently been killed, the minister noted. He added that the Takfiri elements had plotted to carry out suicide terrorist attacks in Tehran and a number of other cities under direct command of individuals stationed in certain neighboring countries. Alawi went on to say that the operation revealed hidden aspects of the coordination between the Islamic Establishment’s hegemonic enemies and their Takfiri mercenaries. On Friday, Iran’s Prosecutor General Mohammad Jafar Montazeri first revealed news of the arrests. Millions of people in capital Tehran, more than 1,000 other cities and towns, and in 4,000 villages, poured into the streets on Friday to swear allegiance with the Islamic Republic Establishment. The nationwide rallies were held without any security problems or incidents.